This boy is BAD. He’s ambiguous too. Well guess what. I’m not sure what it is. 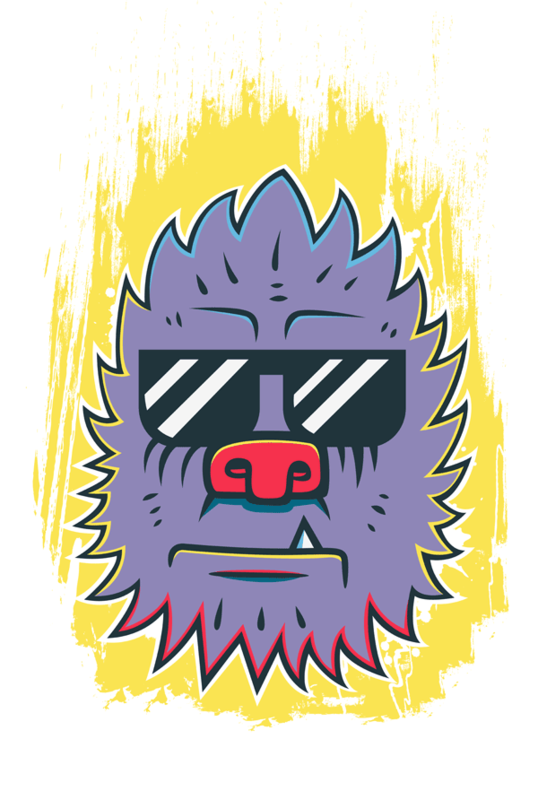 A little doodle in the old sketchbook blossomed into this vector grizzle. Highlights of yellow blue and a darks of red. I hope he doesn’t let it get to his head, heh. Experimented with some grunge brushes in Illustrator and just went to town with the Pathfinder. Now such power oozes through his veins. Such fire scorches behind him. Check out this boy on Redbubble. He’s cool and he’s ready for you. Next Bulldog Gentleman Kickin’ It, Right?